I need to have my eyes checked. I can’t see. The problem with my eyes starts with me. I was recently speaking to a family member about truth and reality. We spoke candidly about what we saw in a situation near and dear to us and how we saw things differently. In my conversation we both learned we can’t see too good and were in need of a spiritual eye exam. It was a reminder to beware of calling things like we see them. Have you ever said,” I just call it like I see it?” I thought about this and how God sees everything and knows everything. God sees far beyond what you and I can see. Do you see the problem with our eyesight? We say I don’t see it or I can’t see it, I can’t see how…. but the reality is we don’t see as well as God sees. 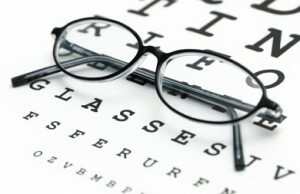 I learned when my eyesight is faulty it affects my faith. I can say I just call it like I see it but only God can see it before I call it. The Bible reminds me that my “I’s” need examination frequently. Am I looking at this through the eyes of faith? The Bible says in Hebrews 11 that it’s not about things we can see. It’s about what is not seen. As a believer I must let faith be my guide. It doesn’t matter what our situations look like we must remember that God sees and knows everything. When we can’t see how we are going to make it through our current situation and things may not look good to us, we must trust in God who sees and knows exactly what’s best for us.